Dr Patrick Chaplin - Patrick has been a member of the Pub History Society more or less since its inception and from Issue #2 has regularly contributed articles on pubs, pub signs and pub games to the Society’s Newsletter. Although his main passion is pub games, especially darts - he has a PhD in the social history of darts and has written or co-authored seven books, so far, on the ‘arrers’ - that passion is inextricably linked to his long-term love for and patronisation of the great (and little) English public house. He was co-opted on to the Executive Committee of the PHS in April 2014. Patrick, a social historian, lives in Maldon, Essex with his wife Maureen and their cat Angel. His local pub is the award-winning Carpenters Arms (a Gray’s house) less than a mile away from his home. 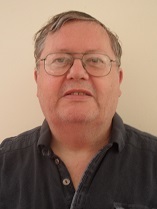 Steve Williams - Steve has been Secretary since the society was formed in 2001 (now Secretary / Treasurer). When not pursuing society business he makes himself busy looking after various aspects of the Peterborough Beer Festival which takes place in August every year. He occasionally ventures into pubs to drink beer and if he can help out towards any charity event he'll probably have a go at most things. To date he has 'firewalked' twice for local good causes and has sustained no permanent injuries. 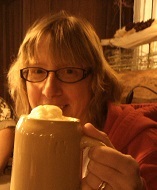 Debbie Williams - Debbie is our Membership Secretary and keeps control of our ever expanding empire. She is currently studying for a degree in Sociology and assists her husband in finding suitable pubs to visit. Chris Murray - Chris has been Editor of our newsletter for many years. Under his guidance we have seen the publication grow into a full colour and fully grown entity. An enthusiast of decent pubs and good beer since the 1970s, he has an interest in collecting breweriana and a passion for early ale glasses from the 18th century. He has written on pubs for the British Film Institute and has been interviewed on BBC radio on the same subject. Jim Packer - Jim has been frequenting pubs for 50 years and has had an interest in history from his primary school days and pub history for the last 30 years. He has written two books: Bexley Pubs in 1995 (now out of print) and Lost Pubs of Bexley in 2005. He's still working on a third (pre 1830 pubs now lost). He continues to be fascinated by all the variety of pubby info in our Newsletters! Just waiting for a willing volunteer!